Flat head baby syndrome (or more technically known as “Positional Plagiocephaly”) is a condition that affects a surprising number of babies. 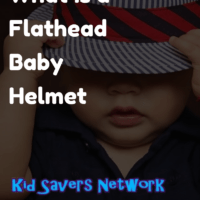 You might have heard a flat head baby helmet can correct the condition – and it costs several thousands of dollars! In this article, we’ll try and shed some light on what it is and is it really something to worry about (like us parents don’t have enough!). How much does the helmet cost? Does it need to be specially fitted? What issues will the helmet correct? Will the helmet harm my baby? 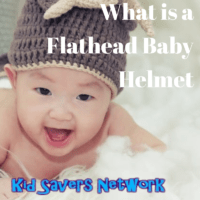 When should we use a Flat Head Helmet? Babies are born with soft heads which allow for brain growth during the first year of life. As a result of having a soft head, it can be easily molded. 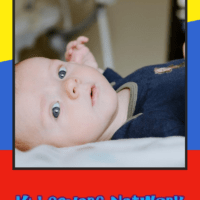 Positional Plagiocephaly is a condition that causes a baby to have a flat spot on his head. It is usually caused by the baby sleeping in the same position all the time, but can have other causes such as the way the baby was positioned in the mother’s womb. Some experts believe that forcing infants to sleep on their back (like the Government’s “Back to Sleep Campaign”) has helped cause the issue. Other believe it’s a temporary issue and a baby’s head remolds and corrects itself after the first year. However, sometimes the condition seems severe, and your pediatric neurologist might recommend a Flat Head Baby Helmet. 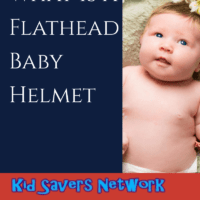 A flat head baby helmet is used to reshape the baby’s head. The helmet is usually made out of plastic and can look a lot like a bicycle helmet. 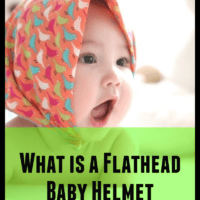 Depending on the severity of the flat head, your baby might need to wear it anywhere from a month to up to 6 months, round-the-clock. The cost can be anywhere from $2300 to $4000. 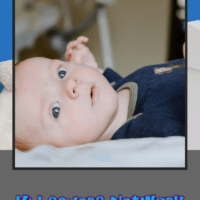 Insurance companies do not have the best track record when it comes to positional plagiocephaly . This is because some insurance companies do not recognize it as a medical condition yet, and not much research has been done. It is better to ask your insurance company about coverage beforehand. Your insurance company might only cover some of the costs, or none at all. If you find that your insurance will not cover the cost of the helmet, ask your Orthotist if paying in full, in advance, will result in a discount as opposed to making long term payments. Yes, your Orthotist will carefully measure the shape of your child’s head and construct a plastic helmet. This is why the costs for these helmets are so high. The helmet will be custom fitted for your baby. First, it will act as a cushion to prevent undue pressure on one side of the head and allow for better pressure distribution along the bones of the skull. Secondly, it will be fitted in such a way as to permit the expansion of the bones of the skull back into the flat area. First, your child’s head will be measured with a cloth measuring tape. Then a plaster of Paris casting of your child’s head will be made. This should take about twenty minutes during the visit. The construction of the Helmet will take about two weeks. When construction is finished, you and your baby can return for a fitting. If the fitting is correct, you will be able to begin using the helmet. Proper instructions for use will be given to you by your Orthotist at this time. No, the use of the Helmet is not harmful to your baby as long as you follow the instructions given by your Doctor. You also need to keep it clean. Cleaning instructions and necessary care for the Helmet will also be provided to you by your Doctor. Wearing the Helmet will cause perspiration, so it is important to keep your child’s head and hair clean too. Washing the head and hair area, and helmet, with a mild soap, will help reduce the growth of any harmful bacteria. Inspect the baby’s skin often to check for redness or rashes. If you notice this, seek the advice of your Doctor. Your baby’s brain grows the most during the first year of life. For the helmet to be effective, it should be used before the first year. Ideally, the best time for use is between six to seven months, but this is dependent on your baby. 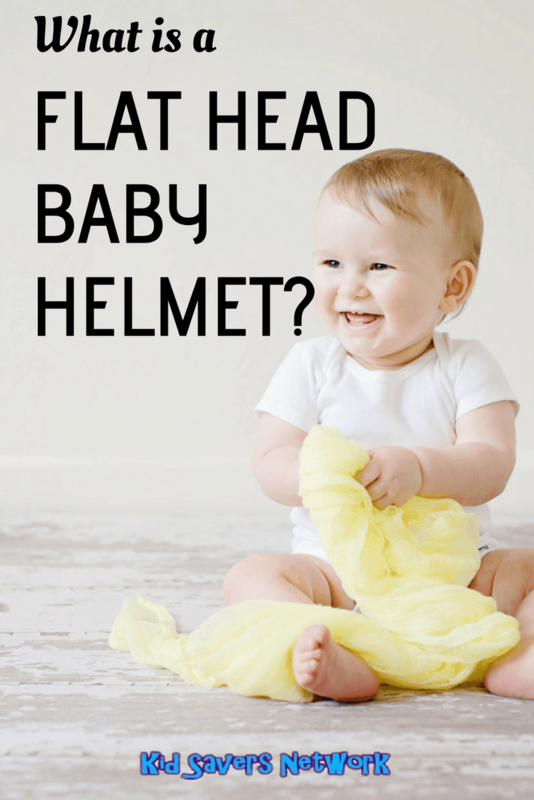 Usually, the Helmet will only be worn until twelve months of age. Your Doctor will decide if it must be worn longer. The following page is useful as it provides advice on performing an “At Home Assessment“. As outlined above, you can take a “Wait and See” approach as baby flat head can correct itself over time. More tummy-time and making sure your baby isn’t always resting on the same spot is definitely an option. There was an article in The NY Times that highlighted a “rigorous study” which concluded the helmets had “virtually no treatment effect“. Some parents have reported great success with flat head baby pillows, though currently there’s no also scientific backing to their effectiveness.